Jeshuaists (or Yeshuaists) are followers of the Nazarene rebbe Jeshua who presented himself as a sent one from the Adonai Most High Elohim, Hashem Jehovah. In the Jeshuaist community are welcomed all those who have full belief in the Only One Bore or Creator Deity יהוה Jehovah, the God above all gods and who see in the navi or prophet Jeshua the declarer of God and the way to God. We are convinced that the Hashem calls all people to come to Him and that Jeshua made it possible to have the relationship with God restored. The navi Jeshua, born in Bethlehem and brought up by his wordly parents in Nazareth, we consider to be the Kristos or Christ, the Moshiach or anointed One from God, the long awaited Messiah. Being part of the Mine Bechir or Chosen ones or chosen people several goyim or non-Jews joined our community of religious brothers and sisters who feel they are part of the Body of Christ. 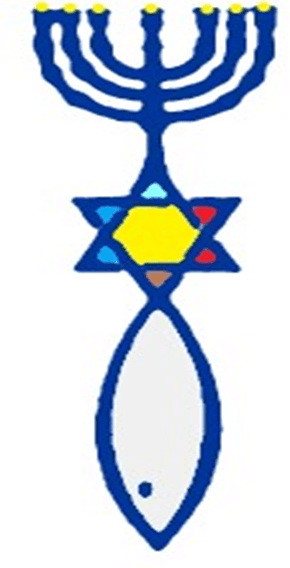 Under the habrit hachadasha or new covenant of ben haElyon, the son of the Most High, we look forward to the return of the master teacher, to open the bab ilu or Gate of God to the entrance of the Kingdom of God and to allow us to live in a restored new world were there shall be peace and love for ever. Jeshuaists, by some also called Messianic Jews, like the other Jews, or Jehudiem, believe in one LORD, i.e. only One Eternal Most High Supreme Omniscient and Omnipotent Unseen Spirit Being Who is God above all gods. Our belief in that God, Who is one God of gods, makes us to be real monotheists, whilst there are Christians who say they are monotheist, but worship a Trinity or three-headed god and in reality would be polytheists. For Jeshuaists there is only One True God above all, plus His son the Lord Jesus and the Holy Spirit, who are three separate entities (units or personalities), i.e. not the trinity like in the major Christian churches. Jeshuaists are "monotheists" who accept Jeshua or Jesus Christ as the Messiah, though the majority of the other Jews do not accept Jesus as the Messiah. We believe in God's Kingdom on earth, with His Son the Lord Jesus to reign as king of that kingdom when God sends him to return to earth. We don't believe in heaven going for this reason, and also do not believe there is a specific torture creature or devil, but that we are tempted of our own lusts and nature. Jeshuaists are believers of the Adonai Elohim Hashem Jehovah God and His only begotten beloved son Jeshua (often better known as Jesus Christ). As religious group worshipping the Only One true God of Israel, we have no paid ministry and therefore have to keep our religious work paid for by gifts of people who want to support us and/or share our faith. Being a church or ecclesia not supported by any major religous organisation we depend on the goodwil of people like you, who want to support the work for the Most High Elohim and the witnessing for HIm, His Kingdom and His son, who many more people should come to know. As religious group we encounter also many people in difficulties and therefore can use some funds to support the many causes and charities. Living in this world we depend on it for a lot of things, having to pay rent for our offices, preaching work and publications. Therefore we need to collect money and dare to rely on people from all over the world to make our preaching possible. Please help us to proclaim the Good News and do not hesitate to donate for this so necessary work to be done. We believe the world came into existence by the batKol or Voice of an UnseenSupremeSpirit Being. Lots of people do not want to believe in His existence nor does want to believe that this God above all gods has the intention to have His Plan fulfilled. The Adonai, ElohimHashemJehovah, gave His dvar (or word) for man to listen to it and to follow it up. Many of His Words became written down by men of God, so that we could have a guidefor life. Man should come to know that he better follows that Guidebook and listens to the Words of that Most HighGod. The importance of trust cannot be underestimated. It is written in several places that we should trust in Jehovah with all our heart; and that we should lean not unto our own understanding but should try to get understanding and wisdom from His Dvar. Proverbs 3:1-12 OJB Beni (my son), forget not my torah; but let thine lev keep my mitzvot; (2) For orekh yamim (length of days), and shnot chayyim, and shalom, shall they add to thee. (3) Let not chesed and emes forsake thee; bind them about thy neck; write them upon the luach (tablet) of thine lev; (4) So shalt thou find chen and seichel tov in the eyes of Elohim and adam. (5) Trust in Hashem with all thine lev, and lean not unto thine own binah (understanding). (6) In all thy drakhim acknowledge Him, and He shall make yosher thy orkhot (paths). (7) Be not chacham in thine own eyes; fear Hashem, and depart from rah. (8) It shall be rife'ut (health) to thy navel, and marrow to thy atzmot. (9) Honor Hashem with thy substance, and with the reshit (firstfruit) of all thine increase; (10) So shall thy barns be filled with plenty, and thy vats shall burst out with tirosh. (11) Beni (my son), despise not the musar Hashem; neither be weary of His tokhakhah (reproof); (12) For whom Hashem loveth, He correcteth; even as an av the ben in whom he delighteth. The majority of people trust in themselves and in the possibilities of mankind. Proverbs 28:26 OJB He that trusteth in his own lev is a kesil (fool), but he who walketh in chochmah, he shall be delivered. We should walk in chochmah and try also others to walk wisely adhering to the mitzvot which keep us on the right track. We also should show others how there have been many in the past who have put their trust unto God. We also should try to get the same trust and faith as His only begottenbelovedben haElohim (son of God)Jeshua, who should be our example to follow and to build up our life. Jeshua (Yeshua/Yahushua) has shown us that his heavenly Father, Jehovah God, is trustworthy and so is His word! It is not because man turned himself away from God by rebelling against Him that we as individuals would not have any chance any more to come close to Him. We as weak being can use the strength God is willing to give to those who want to come close to Him. Jehovah is an everlasting rock on which we can stand firm in all sorts of storms. We have all good reason ot put our trust and hope on Jehovah. When we look at the previous centuries we can see how all His promises, being prophesied by several of His navi have become true. Knowing that there are still a few prophecies which have to be fulfilled we better prepare ourselves for when they would become a reality. Therefore let us trust in the everlasting strength of Jehovah, putting our hope on Him. Psalms 71:5 OJB For Thou art my tikveh (hope), Adonoi Hashem; Thou art my trust from my youth. Jehovah is the only One Who can deliver us from evil and death and can give us richly all things we really need to enjoy. 1 Timothy 6:17 OJB Charge the oishirim in the Olam Hazeh not to walk in gaa'vah (pride) and highmindedness, neither to put their tikvah (hope) in the uncertainty of their osher but in Hashem who richly grants us all things for enjoyment. Psalms 9:7-12 OJB (8) But Hashem shall reign l'olam; He hath established His kisse (throne) for mishpat. (8) (9) And He shall judge the tevel (world) in tzedek, He shall govern the nations with justice. (9) (10) Hashem also will be a refuge for the oppressed, a stronghold in times of tzoros. (10) (11) And they that know Shemecha will put their trust in Thee; for Thou, Hashem, hast not forsaken them that seek Thee. (11) (12) Sing praises to Hashem, enthroned in Tziyon; declare among the nations His deeds. (12) (13) When He avenges [shefach] dahm, He remembereth them; He forgetteth not the cry of the aniyim (humble, afflicted, the helpless ones). That Name of the Most Holy One we should make known or proclaim all over the world. We do know lots of people do not like lovers of God and hate Jews and people who worship Jehovah as their Only One God. though we should trust God with the knowledge that man can never do much more than God. Man can perhaps come to kill us in this worldsystem, but the Elohim has something much nicer in petto for us when we trust Him. Psalms 32:10 OJB Many sorrows shall be to the resha'im, but he that trusteth in Hashem, chesed shall envelop and cover him. Psalms 37:40 OJB And Hashem helps them, and delivers them; He shall deliver them from the resha'im, and save them, because they take refuge in Him. Fret not thyself because of re'im (evildoers); neither have thou kina (jealousy, envy) of the workers of iniquity. (2) For they shall soon be cut down like the khatzir (grass), and wither as the green desheh (herb, plant). (3) Trust in Hashem, and do tov; so shalt thou dwell in the Eretz (land), ure'eh emunah (and thou be pastured securely). (4) Delight thyself also in Hashem, and He shall give thee the desires of thine lev. (5) Commit thy derech (road, way) unto Hashem; trust also in Him; and He shall bring it to pass. (6) And He shall bring forth thy tzedakah (righteousness) as the ohr (light), and thy mishpat (justice) as the tzohorayim (noonday). (7) Rest in Hashem, and wait patiently for Him; fret not thyself because of him who prospereth in his derech, because of the ish who bringeth wicked schemes to pass. (8) Cease from anger, and forsake chemah (wrath); fret not thyself in any wise to do rah. (9) For evildoers shall be cut off; but those that wait upon Hashem, they shall inherit the Eretz (land). (10) For yet a little while, and the rasha shall not be; yes, thou shalt watch his place, and he will not be. (11) But the anavim (meek ones) shall inherit Eretz; and shall delight themselves in rov shalom (great peace; see Psa 119:165). (12) The rasha plotteth against the tzaddik, and gnasheth upon him with his teeth. (13) Adonoi shall laugh at him, for He seeth that his yom is coming. (14) The resha'im have drawn out the cherev, and have bent their keshet, to cast down the oni (poor) and evyon (needy), and to slay such as be yishrei derech (upright ones on the road, that walk uprightly). (15) Their cherev shall enter into their own lev, and their keshatot (bows) shall be broken. (16) A little that a tzaddik hath is better than the riches of resha'im rabbim. (17) For the zero'ot (arms, powers) of the resha'im shall be broken; but Hashem upholdeth the tzaddikim. To whom should we give attention and for which child should go our deepest concern? The Roman emperor who proclaimed that he had converted from worshipping the sun god to being a Christ follower wanted all to agree with him and the Roman-Greek tradition of a three-headed god and as such the Trinity entered Christianity bringing it to Christendom where so called Christians murdered other Christians who still wanted to believe in Only One true God (Jehovah) and His son Jeshua (Jesus). The importance of the Book of books is not only determined by Who is behind it, but also by her inviolability, where nothing may be changed in her words. The Scriptures call for both the only True God and His Word to be acknowledged, but also to willingly accept that Word in order to attain wisdom and salvation. Continuing scrolling through the Bible, one can see how this book is exemplary for everyone. Browsing the Bible we come across verses that bear witness to the Only True God and how to Him honour should be given. 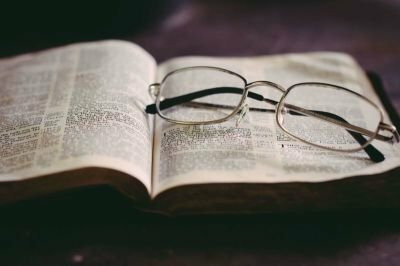 Let's look at what Bible verses say about the origin and reliability of the words in that collection of books known as the Bible. What the Bible itself says how it is the Word of God which shall never come to pass. Looking at bible-wavers, religious rationalizers, Christian fundamentalists, frauds, cafeteria Christians who pick and choose which Bible verses they heed with less care than they exercise in selecting side orders for lunch, whilst unable to find Scripture supporting their biases and beliefs, twisting phrases to prove they are honouring the Bible’s words, but not allowing other translations than their own preferred translation.. In this world we may find lots of people who call themselves Christian but are not following the teachings of Jesus nor do they have the same God as Jesus. We should listen to the warnings given in the Holy Scriptures concerning false teachings and false prophets. This is one of the places we can use to add FAQ answers on our website. At this website you can then, if you feel it necessary, after questioning and looking for answers, respond, so that we can also find out what our visitors would like to know and what their interest is. So do not hesitate to react to the blog articles or to question us, so that we get to know what is on your mind or what would be the most asked questions. Do not leave these questions unanswered, but dare to ask them. There is a contact page where you can pose your comments and questions on the blog articles. By the way, we hope that enough readers will find fascinating reading material, but will also dare to ask questions about the written material. The purpose of this website is to make known Jeshuaism, Jeshua or Yeshua faith or Messianic faith. 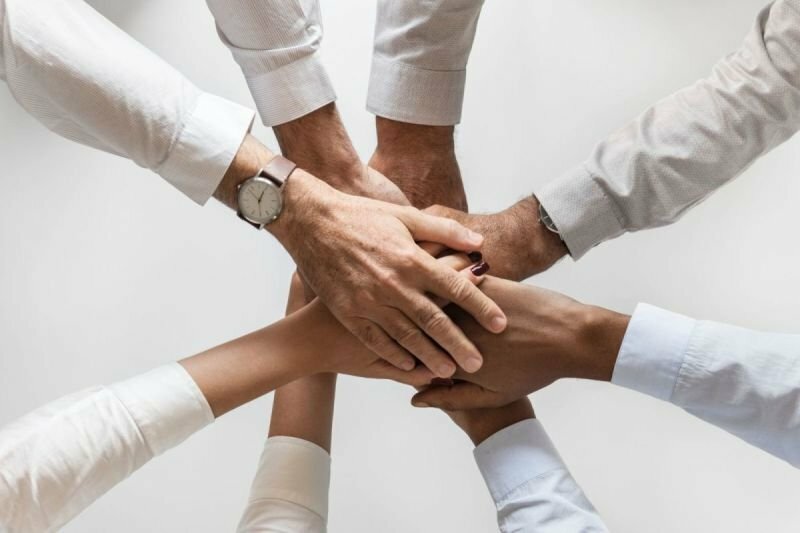 We would like to see that people understand that not all Messianic groups believe in the same Messiah, and that there is also a clear difference in faith in Jesus Christ. We also wish to make clear that pollution has occurred in people's faith through the ages. Many false teachings have entered. As a result, many frictions have also arisen between the many faith groups or religious communities. So many "churches" have arisen and a lot of clouding has come among the people their knowledge of God and commandments. Here we also want to point out that it is not specifically about church institutions or church communities, but about true faith that people should receive. By explaining what the Bible says about gods, God, Godly, religious and spiritual experience and way of life, we want to show our visitors that it really matters and that it is really important in our life and the lives of others. We also want to show how important it is to keep to certain values and to adopt a certain form of (carefree) life. Namely by submitting the "how and why of life" here, we hope that there will be more clarity about why things are going so far for the moment. By realizing why things are going on today, a lot of tension and fear can be taken away and an insured hope can be given to a much better life than the current one. By gaining biblical insight into this world of many difficulties and with many inconveniences, and to realize what is actually the source of all that evil, we can better arming ourselves figuratively for the future. Knowledge has come of good and evil, which can be used for good or bad. Here we want you to see that the Bible or Holy Scriptures (the Pre Messianic or Old and Netzarim Writings or New Testament) as beacon and purifying water, is the best Book of books to give you a complete insight. It is not for nothing that this collection of books may be called the Bestseller of all times. We hope that we can convince you that there are many misconceptions about the person Jesus and that it is necessary to know his right personality and mission of this man of flesh and blood. 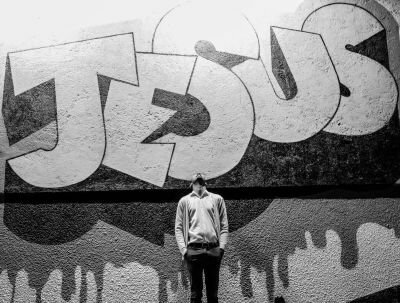 In this way we hope that we can create a clear picture of who Jesus Christ really was and is, and why the right knowledge of that person and of his heavenly Father are so important. Want your clients to learn about your and our business? Jeshuaism is not really about a company and even concerns a product that is very hard to sell in these days. However, what we want to offer is something very important. We even hope that you will also see that importance and will be willing to share the Word of God and to share our message with many others in the world. That proclaiming or revealing, witnessing the faith in Jeshua (Yeshua) and his God, must ultimately become an important fact in the life of the true (Bible-believing) believer. Jeshuaism is sometimes called the fifth or sixth house in Christianity. Jeshuaism must be regarded as a part of Christendom, alongside Christianity, Judaism (Jahadut) and Islam. Jeshuaists, in the Netherlands also called Jeshuanen / Jeshuaansen or Jesjoeaansen, follow the former Nazarene Jewish master teacher Jeshua (also called Yeshua ben Yoseph, Yahushua or Jesus Christ or Jesus the Lord). Jeshuaism may belong to the Messianic Jewish community. But as a Messianic Jewish Christian movement, it is also open to goyim or non-Jews and gentiles or people from all nations. However, it should not be confused with certain Messianic groups who worship a Trinity, while true believers and true Christian followers of Jeshua (or Yeshua) worship the God of Christ and His disciples, an Only True Creator God above all gods and above all, Who is not a three-headed god or Trinity but Who is the God of Hosts and God of gods Who is only one God. Is there a difference between Messianics and Jeshuaists? Not all Messianics believe in the same Messiah or in the same Christ or anointed One. Jeshuaists belong to Jeshuaism and Messianism where the faithful recognize and accept Jeshua or Jesus Christ as the Messiah and worship the same Only True God as Jeshua (Yeshua / Yahushua) and his disciples. 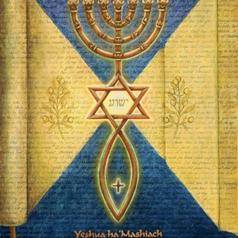 There are Messianic Jews who have a different Messiah or Meshiach than Jesus Christ or Jeshua, as well as Messianics who worship a three-godhead instead of a Only True God. 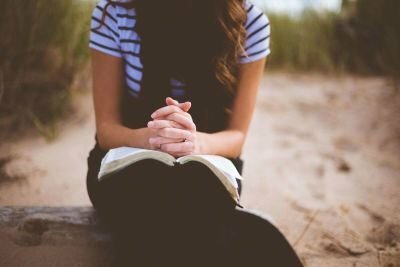 Is there a difference between Christians and Jeshuaists? Christianity and Christendom have many types of Christians. These all profess their faith in a different way. Many people call themselves "Christian" but do not keep the same faith as Jesus Christ. He believed in only one God, Who is One, while the majority who call themselves "Christians" believe in a God the Father, god the son and a God the Holy Spirit. That belief in the Holy Trinity, a three-headed god or tri-une god, is seen by Jeshuaists as a false belief bound to false human doctrines. Those who belong to Jeshuaism believe that Jesus is the one sent from God and the son of God, who was authorized by the Most High Elohim to speak and act in God's name. They are convinced that the Saviour Christ Jesus or Jeshua (Yeshua / Yahushua) is the Way to God. This while the majority of Christians believe that Jesus would be God. Jeshuaists do believe that Jesus is Jeshua the Ben HaElohim or the son of God. Jeshuaists accept that Jesus is a son of man who was authorised by the Elohim Hashem Jehovah, the Only One True God, to speak and act in His Name. In Jeshuaism the faithful believers accept Jesus as their saviour and look forward to his return. Jeshuaists are faithful believers in the Nazarene rebbe Jeshua whom they take as the cornerstone of their association. They do not as such use the word "church" but speak about their "ecclesia" which presents the gathering of faithful followers of the Jewish Nazarene rebbe Jeshua (Jesus Christ) who did not come to create a new religion, but to declare his heavenly Father. The Jewish Jeshuaists therefore consider themselves as a continuation of the Jewish movement "The Way" and still speak about their temple or synagogue where they keep their services or hold ecclesia. Is there a difference between a Jeshuaist and a Brother in Christ? Jeshuaists take Jeshua or Jesus as their leader. They believe Jeshua opened the way so that we can call ourselves "children of God". Jeshua or Jesus being the son of God is considered a brother by all of those who step into his name and call themselves Jeshuaist. Being under Christ we unite as brethren and sisters in Christ. In Jeshuaism there are Jeshuaists who are Jews who came to accept Jeshua (Jesus) as their saviour. In opposition to the goyim or non-Jewish Brethren and sisters in Christ they keep their Jewishness whilst not all Brothers and sisters in Christ are Jewish. The majority of Brothers in Christ or Christadelphians is even non-Jewish. What is a Brother in Christ? First of all is a brother in Christ some one who considers having kinship with Christ Jesus or Jeshua the Kristos as a child of God. Secondly a Brother in Christ is some one who lives in the footsteps of Jeshua (Jesus Christ), doing what Jeshua the Christ (Christ Jesus) would do and what Jeshua (Jesus) would require his followers to do. Who are the Christadelphians and how are they organised? Christadelphians are a relatively small religious body, with congregations located in over 120 countries throughout the world, with large groups of Christadelphians in the United Kingdom, Australia, New Zealand, North America, India, Asia and Africa. In other countries and continents there are many growing communities of believers, and it is an exciting time to witness the call of the Gospel of the Lord Jesus Christ in the lives of men and women in the 21st Century. Jeshuaists and Christadelphians have no hierarchical leadership. The christadelphians are a lay community, and each congregation is also called an "ecclesia" (the Greek New Testament word for church). We have no paid clergy or hierarchy, but all members contribute of their time, resources, energy and enthusiasm voluntarily in service to God. A strong common belief and baptism binds our brotherhood together worldwide as a single fellowship of believers. What is the difference between a Brother in Christ and a Christadelphian? The Brothers in Christ we are talking about here, have nothing to do with the Roman Catholic Brothers in Christ or Brothers of Christ or Brothers of love. The Christadelphians unite as brothers and sisters in Christ, with the knowledge that each individual is personally responsible for his or her own acts. As such there is no overruling constituion, though only bibblical rules or commandments are followed. All other matters and way of conduct is left up to the individual conscience. Every Christadelphian and every Jeshuaist has confessed his belief before being baptised as a believing adult. From mthe baptism onwards he or she tries to live accordance the teachings of Jeshua (Jesus Christ). Why and how do Jeshuaists, Brothers in Christ or Christadelphians remember the death of Christ? Jeshua as a Jew came together with his close disciples to remember the exodus of Egypt. At the night, on Nisan 14, he had his Last Supper where he told about his function and death and inaugurated the New Covenant. Yearly, Jeshuaists and several Christadelphians (or Brothers in Christ) celebrate that important day as the most important day of the year. Though not all Christadlphians remember Nisan 14, all remember regularly that what happened on that day. Because Jeshua asked his followers to break the bread and drink the wine as a sing of the New Covenant and to do that in remembrance of him, all Jeshuaists and Christadelphians as brethren and sisters in Christ share those symbols (on a regular base) as a sign of Jeshua having given his body for our sins and as a sign for accepting him as our saviour. May Brothers in Christ or Jeshuaists fight or join armed forces? Accepting the Bible as our only guide and believing it to be the wholly inspired word of God, Jeshuaists or Brethren in Christ (Christadelphians) respect the creation and consider all people equal. As children of God we should love all His creation and creatures and as such should not go against people who have not the same beliefs or even would be our enemies. Jeshuaists and Christadelphians (or Brothers and sisters in Christ) believe the corruption of civil and ecclesi­astical affairs has advanced beyond all human power of redress, and can be dealt properly with only by the judgments of God. Hence the fact that Christadelphians, though strictly law abiding, often do not feel called upon to engage in efforts for social or political amelioration, and refuse to bear arms. Because fighting is not permitted by God's Law, when not instructed by Jehovah God Himself, the Jews of the Jeshuaist community prefer not to go to live in Israel, taking care that their children nor they would not be forced by the Israeli governement to fight against others. Even though there may be a Zionist call to live in the Promised Land, the preservation of the agape love is more important and Jeshuaists know that it will not be long before the last Great battle of Armageddon will break out and then the Great Peace will come where everyone will be united under Christ and will be able to share the Kingdom of Christ and the Kingdom of God. Van harte welkom op deze Engelstalige bladzijden. Maar weet u ook dat er van onzentwege een Nederlandstalige bladzijde wordt gepubliceerd en dat er op het net eveneens nog andere Nederlandstalige websites te vinden zijn van mensen die behoren tot de Jeshuaanse of Jesjoeaanse gemeenschap. Een Jeshuaist of Jesjoeaan is iemand die zich onderwerpt aan de leer van de Nazareense Joodse rebbe Jeshua en dezelfde God aanbidt als deze van de rebbe Jeshua (Jesjoea) en zijn leerlingen. In het Nederlandstalig gebied is Jeshua beter gekend onder zijn vervalste naam, namelijk onder de naam Jezus Christus. Deze grote leermeester wenste dat iedereen zijn hemelse Vader zou komen te kennen en komen te aanbidden. Jeshuaisten als ware volgers van Jeshua of als ware volgers van Christus Jezus, en navolgers van zijn apostelen, wensen de ware Christus kenbaar te maken en de Enige Ware God aan zo veel mogelijk mensen kenbaar te maken. Hiertoe verrichten zij predikingswerk en stellen zij enkele publicaties ter beschikking, op het net zo wel als op papier. Mogen wij a daarom vriendelijk uitnodigen om ook onze Nederlandstalige website "Jeshuaisme" te komen bezoeken. daar kan u meerdere Nederlandstalige artikelen vinden alsook een blog waar u terecht kan met al uw vragen. Soyez le bienvenu sur ces pages qui représentent le Jéshuaïsme ou le Judaïsme messianique. Le Jéshuaïsme concerne les véritables adeptes de l'instructeur ou rebbe Nazaréen Jeshua, ou Yeshua ben Yoseph, qui est mieux connu dans notre société moderne sous le nom de Jésus-Christ. Que des Juifs puissent croire en Jeshua (Yeshoua/Jésus) semble paradoxal. En effet, pour certains, Juif et Jeshua ou Jésus sont deux contraires qui s’excluent mutuellement. 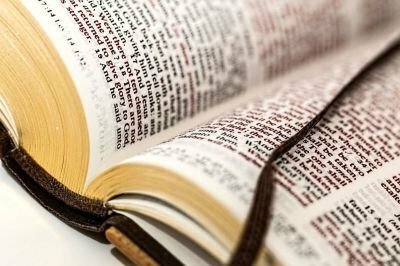 Pourtant, à en croire la Bible, il n’y aurait pas de contradiction réelle entre « Juif » et « Jeshua ou Jésus » . Le mot Juif vient de Yéhouda (Juda), du nom de la quatrième tribu d’Israël, qui en hébreu signifie « celui qui loue Dieu ». Donc un Juif, essentiellement, c’est quelqu’un qui adore Dieu. Le Jeshuaisme est un mouvement fondé sur la Bible. Le judaïsme messianique de Jeshuaisme rassemble des Juifs et des non-Juifs qui croient en Jeshua (Yéshoua ou Jésus) comme à leur Mashiah (Messie). En cela, ils servent seulement un Dieu Eternelle, le Dieu d’Abraham, d’Isaac et de Jacob, Qui est seulement Un Dieu et pas une Trinité, tout en restant fidèles aux coutumes et aux traditions de la nation juive. Jeshua est considéré comme celui qui a été envoyé par Dieu pour rétablir le lien qui lie les gens à Dieu, leur Créateur, afin que l'esprit de Dieu puisse rester non seulement avec eux, mais en eux. Jeshua ou Yeshoua a scellé une Nouvelle Alliance par son sacrifice, lequel permet de réconcilier la nation juive comme les nations païennes avec leur Créateur. Ce que Jeshua (Yeshoua ou Jésus) a accompli – le rachat de nos péchés -, nul n’eût pu l’accomplir, sinon Dieu son père céleste . La justice de Dieu a trouvé sa pleine satisfaction en Jeshua (Yeshoua). Jeshuaists ce sont des Juifs qui réalisent pleinement cette union avec leur Créateur, telle que Dieu l’avait désirée quand il avait choisi Abraham. Et du fait qu’ils sont Juifs de par la nationalité, ceux-ci peuvent, comme les chrétiens, recevoir les enseignements de Jeshua (Yeshoua), tout en demeurant des Juifs à part entière. Stricto sensu, Juifs pour Jésus est une association de Juifs cherchant à communiquer à la communauté juive et aux goyim le message que le rebbe Nazaréenne Jeshua (le vrais nom hébreu de Jésus) – ou, Yechoua – est le Messie d’Israël. On peut estimer que le nombre de Juifs croyant en Jésus se situe, au bas mot, à plusieurs dizaines de milliers dont la majeure partie vit en Israël, aux États-Unis, en Grande-Bretagne et en France. Nos milieux sociaux culturels reflètent la nature variée de l’expérience juive. Certains d’entre nous sont issus de familles orthodoxes ou traditionnelles ; d’autres étaient athées ou marxistes. Quelques-uns s’étaient détachés de leur héritage juif, alors que d’autres étaient très impliqués dans le judaïsme. Il est difficile de trouver le facteur commun – intellectuel, émotionnel, sociologique ou culturel – qui nous a conduits à la rencontre de celui dont Moïse et les prophètes ont parlé : Jésus de Nazareth. Néanmoins, un consensus spirituel veut qu’aucune vie ne soit réellement équilibrée si elle ignore la culpabilité morale de l’homme, et sa séparation d’avec le Dieu Saint, l' Elohim Hashem Jehovah. Or le Créateur Divine, dans Sa grâce, a envoyé Jeshua (Yechoua) pour rétablir notre relation avec le Plus Haut, notre Créateur. À vrai dire, l’existence des "Juifs pour Jésus" n’est pas un fait récent. Nous avons près de 2000 ans! En effet, tous les premiers disciples de Jésus étaient juifs. Au cours des siècles, il a toujours existé des Juifs qui ont cru que Jésus était le Messie d’Israël. Mais l’accroissement spectaculaire du nombre de croyants juifs est un phénomène nouveau, et la proportion des Jeshuaists ou les Juifs qui suivre Jeshua (Jésus) est plus importante qu’à aucun autre moment, depuis le premier siècle. Nous, Juifs qui croyons en Jeshua, ne considérons pas avoir abandonné nos racines juives. Au contraire, nous cherchons activement à examiner et à vivre notre foi en tant que Juifs disciples de Jeshua (Jésus). Nous nous considérons comme Juifs et faisant partie intégrante de la communauté juive, mais on a fait de nous des parias pour avoir voulu parler de Jeshua (Jésus), le Messie juif, à nos frères juifs. La définition de «qui est Juif» continue à être débattue au sein de la Communauté juive. Il n’y a pas de consensus pour dire si l’appartenance au peuple juif doit être définie par la religion, la culture, les liens de parenté ou par simple «opinion majoritaire». Cependant, en termes bibliques, un Juif est une personne qui appartient au peuple issu de la descendance d’Abraham, d’Isaac et de Jacob – le peuple avec qui Dieu a fait alliance avec Abraham, Moïse, et David. C’est Dieu Lui-même qui nous a créés Juifs; cela ne dépend donc ni de nos croyances, ni de nos actes personnels. Peut-être ceci explique pourquoi un bébé juif est juif bien avant d’avoir l’occasion de formuler une opinion quelconque sur la religion ou sur la culture! En fait, ceux d’entre nous qui sont devenus croyants en Jeshua (Yechoua) ont découvert, en même temps que notre foi en Dieu (elohim Hashem Jehovah), une responsabilité plus profonde envers notre héritage, notre culture, nos traditions et notre peuple. Le terme «Chrétien» provient du grec «christos», traduction de l’hébreu «machiah» - en français «oint». Le fait de fréquenter telle ou telle Église catholique ou protestante ne confère pas la qualité de Chrétien, pas plus que le fait d’être né en Europe ou en Amérique du Nord. 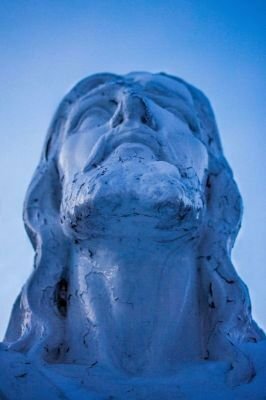 Le Chrétien est plutôt celui – Juif ou Gentil – qui a reconnu Jeshua (Yechoua) Jésus comme son Sauveur et Seigneur. Autrement dit, devenir Chrétien est une affaire personnelle entre un individu et Dieu ; personne ne peut «naître Chrétien». Il faut «naître de nouveau». Parmi les millions de personnes qui prétendent de nos jours être chrétiennes, beaucoup se laissent-elles guider par la sagesse céleste? Un grand nombre de nations de la chrétienté affirment que tous les gens nés à l’intérieur de leurs frontières sont chrétiens, catholiques ou protestants, et ceux-ci sont enregistrés comme tels sur les registres d’état civil. Lorsque ces personnes grandissent et deviennent adultes, montrent-elles par leur conduite qu’elles sont vraiment chrétiennes? La majorité de ceux qui prétendent être chrétiens ne correspondent certainement pas à cette description, parce qu’ils préfèrent se conformer à ce qu’on appelle la “nouvelle morale”. Même les ecclésiastiques qui baptisent ces gens pour en faire des membres de leur Église parlent favorablement de cette “nouvelle morale” qui permet l’adultère, la fornication et l’homosexualité, et qui suscite des jalousies et toutes sortes de pratiques viles parmi ceux qui s’y conforment. La Bible nous apprend à être respectueux des lois. Elle nous dit également de continuer à chercher d’abord le Royaume et la justice de Dieu. Les vrais chrétiens n’ont jamais tenté de s’emparer du pouvoir, dans aucun pays. Les serviteurs de Dieu doivent être unis quelle que soit leur nationalité (Romains 2:11 ; Éphésiens 4:1-6). Ils doivent donner d’eux-mêmes avec joie pour venir en aide à leurs coreligionnaires (2 Corinthiens 9:7). De nombreuses dispositions de la Loi mosaïque ont servi de protection et de guide aux Israélites jusqu’à l’arrivée de Christ (Galates 3:24). Les chrétiens ne sont toutefois pas tenus de respecter cette Loi afin d’adorer Dieu. Dans sa lettre adressée aux Hébreux — des chrétiens d’origine juive — Paul donne de nombreux éclaircissements sur la signification de la Loi et sur la réalisation du dessein de Dieu en Christ. Il explique que plusieurs parties de la Loi avaient une valeur prophétique. Par exemple, les sacrifices d’animaux représentaient la mort sacrificielle de Jésus, qui rend possible le pardon des péchés (Hébreux 10:1-4). Par la mort de Jésus, Dieu a annulé l’alliance de la Loi, vu qu’elle n’était plus nécessaire. — Colossiens 2:13-17 ; Hébreux 8:13. Aujourd’hui des vies ont besoin d’être sauvées. Nous sommes arrivés à “la conclusion du système de choses”, c’est-à-dire du système mondial tout entier dominé par Satan ou l' adversaire de Dieu. Maintenant le monde est en proie au ‘mépris de la loi qui va en augmentant’. (Matthieu 24:7-13; Luc 21:10, 11.) Les nations sont dans l’angoisse et aucune d’entre elles ne sait comment sortir de cette situation. Pour aider les humains qui désirent vivre, les vrais chrétiens participent aujourd’hui à une œuvre de salut, accomplissant ainsi cette autre partie de la grande prophétie de Jésus: “Et cette bonne nouvelle du royaume sera prêchée par toute la terre habitée, en témoignage pour toutes les nations; et alors viendra la fin.” — Matthieu 24:14. Jean-Baptiste appela son cousin Jésus-Christ “l’Agneau de Dieu qui ôte le péché du monde”. (Jean 1:29.) Ce terme symbolique est appliqué à Jésus-Christ dans le dernier livre de la sainte Bible, où Jésus est appelé de nombreuses fois “l’Agneau”. Jeshua ou Jésus-Christ fut le plus grand des Juifs, car il était le Messie juif, le Christ. Salomon, le roi de Jérusalem, fut l’homme le plus sage des temps anciens aussi longtemps qu’il marcha dans la voie de Jéhovah ; mais Jésus-Christ était plus grand que Salomon, il savait ce dont nous avons besoin pour gagner la vie éternelle. Jésus montra qu’une plus grande connaissance était absolument indispensable pour obtenir la vie. Si un homme cherche à se connaître lui-même, la seule chose qu’il pourra conclure en toute honnêteté c’est qu’il est imparfait et pécheur comme tous les autres hommes et que la voie du salut n’est pas en lui-même ni en d’autres hommes. Même ce qui lui reste de la conscience héritée d’Adam, l’homme qui fut parfait, lui rappellera qu’il est un pécheur et le condamnera. La voie du salut, les moyens de gagner la vie éternelle, ne se trouvent pas dans l’homme, même s’il reçoit une loi parfaite. Pendant quinze siècles, la nation juive vécut sous la loi que Jéhovah lui donna par Moïse. Mais cette bonne et sainte loi de Dieu était plus que ce que les Juifs pouvaient accomplir et elle ne servit qu’à leur faire voir davantage qu’ils étaient pécheurs. L’apôtre Paul résuma en ces mots la leçon qui devait en être tirée : “ Or nous savons que tout ce que la loi dit, elle l’adresse à ceux qui sont sous la loi, afin que toute bouche soit fermée et que tout le monde soit sous la condamnation devant Dieu, attendu que par des œuvres de la loi nulle chair ne sera justifiée devant lui ; car c’est par le moyen de la loi que [l’on a] la pleine connaissance du péché. ” (Rom. 3:19, 20, La) Comme nous pouvons être heureux aujourd’hui, de ne pas être obligés de repasser par les quinze siècles d’expériences d’Israël pour trouver que notre salut ne vient pas de nos propres efforts de justification! Afin d’être sages pour le salut éternel, nous devons prêter attention aux paroles de Celui qui est plus grand que Salomon, c’est-à-dire Jeshua ou Jésus-Christ. Lorsqu’il était sur la terre, Jésus dit aux hommes et aux femmes de le suivre et de l’imiter. Nous pouvons le faire en entreprenant l’œuvre qu’il a accomplie. Né en qualité d’homme parfait par le miracle de Jéhovah Dieu, son Père céleste, Jésus fut le seul homme qui pouvait offrir sa vie en sacrifice pour la rançon des humains, leur permettant ainsi d’obtenir la vie éternelle dans le monde nouveau. Mais avant d’offrir sa vie, quelle œuvre a-t-il entreprise qui était agréable à Dieu et en même temps de la plus haute importance? À quelle œuvre, qu’il considérait comme étant de la plus grande nécessité pour les hommes se trouvant devant la destruction, se consacra-t-il? La plus grande étude de l’homme, c’est Dieu et Jésus-Christ le Principal Représentant de Dieu. Il est vrai que Dieu est invisible et tellement en dehors de la portée humaine, et cependant Dieu a rendu cette étude de lui-même possible à l’homme grâce à sa Parole écrite et l’aide de sa force éclairante ou esprit. Une telle étude traite des choses les plus élevées et nous conduit à des résultats de la plus haute importance. Nous devons poursuivre cette étude si nous voulons recevoir la connaissance qui signifie la vie éternelle dans le monde nouveau. Quand nous étudions l’homme, nous étudions une créature mortelle. Quand nous étudions Dieu, nous étudions le Créateur et Donateur de la vie. Il est certainement plus important de connaître le Créateur et d’entrer en relation avec lui que d’étudier des créatures terrestres pécheresses condamnées à la mort. Il est certainement plus important également de connaître le Principal Représentant de la vie employé par le Créateur que de nous intéresser à des créatures qui ont elles-mêmes besoin de vie et qui ne peuvent se sauver elles-mêmes. L’étude supérieure conduit à la vie éternelle. Pour les Jeshuaists le rebbe Jeshua (Jésus) est notre Instructeur et, sans aucun doute, il sait comment nous faire connaître la voie qui conduit à une existence éternelle dans la paix et dans le bonheur. Nous voulons être des enfants de l’Élohim et suivre le grand exemple de l' envoyer de Dieu. Pour nous, frères, comme Isaac, nous sommes enfants de la promesse. C’est pourquoi frères, nous ne sommes pas enfants de la servante, mais de la femme libre. — Gal. 4:26-28, 31, NW. Dieu a invité son Fils royal, Jésus-Christ, à être son compagnon instructeur. Pour cette raison spéciale Jésus déclara à ses disciples : “ Mais vous, ne vous faites pas appeler Rabbi ; car un seul est votre Maître [Instructeur], et vous êtes tous frères. Ne vous faites pas appeler directeurs, car un seul est votre Directeur, le Christ. ” (Mat. 23:8, 10) Ainsi nous devons être enseignés de Jéhovah Dieu par l’intermédiaire de Jeshua (Jésus-Christ). À tous ceux qui l’ont reçue, à ceux qui croient en Jeshua son nom, elle a donné le pouvoir de devenir enfants de Dieu, lesquels sont nés, non du sang, ni de la volonté de la chair, ni de la volonté de l’homme, mais de Dieu. Revêtez-vous du Seigneur Jésus-Christ et ne vous préoccupez pas de satisfaire les désirs de l’homme livré à lui-même. Nous sommes des gens dans une nouvelle humanité ou il n’y a plus de différence entre Juifs et non-Juifs, entre circoncis et incirconcis, étrangers, barbares, esclaves, hommes libres: il n’y a plus que le Christ, lui qui est tout et en tous. Le peuple juif n’est pas hors de portée de la puissance salvatrice de Dieu. Nous sommes enthousiasmés par un avenir dans lequel le peuple juif aime et embrasse le Messie qui est venu les libérer. Jeshua (Yechoua/Jésus) lui même a déclaré qu’il était venu pour « les brebis perdues de la maison d’Israël » ; c’est seulement quelques années après sa résurrection que les communautés juives messianiques de Jérusalem se rendirent compte que Dieu voulait que la bonne nouvelle de la mort et de la résurrection de Jeshua (Yechoua) soit prêchée aux Goyim aussi. Jeshua (Yechoua ou Jésus) lui-même a affirmé qu’il n’était « pas venu pour abolir la Torah mais pour l’accomplir » et il n’est pas venu pour établir une nouvelle religion, mais pour vous donner une relation avec Dieu. Par la grâce seule, Sola gratia. Le salut est une grâce de Dieu. Personne sur la terre, d’ailleurs, n’est capable de se donner le salut ou de le donner à d’autres. Les disciples de Jeshua (Jésus Christ envoyé de Dieu) dans l’histoire et de nos jours sont convaincus que seul Dieu a la capacité de nous sauver. Dieu nous fait grâce. Les Jeshuaists sont des Frères et sœurs de Jeshua (Jésus) qui n'ont pas peur de vous demander de comparer leurs croyances avec l’enseignement de la Bible. Toutes les paroles de l’Ancien Testament et du Nouveau sont inspirées de Dieu et sont données aux hommes et aux femmes pour leur salut. A cause de cette attitude envers la Bible, les Jeshuaists croient que leur foi est identique à celle enseignée par Jeshua (mieux connu sous le nom Jésus) et ses apôtres. 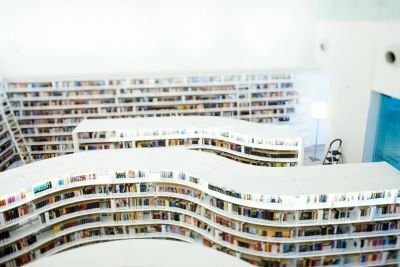 En lisant ce qui suit, vous trouverez avantageux de prendre votre temps et de chercher et lire les passages bibliques mentionnés. Comme Jeshua (Jésus) est « la Vérité », ses propres paroles sont citées ci-dessous, s’il y a assez de place. Dieu est le Créateur Étemel de l’univers. Il créa la vie sur la terre, et créa l’homme à Sa propre image (Genèse 1:1; Genèse 1:27; Actes 17:24-28). La Bible est la parole de Dieu, entièrement inspirée par Lui (2 Pierre 1:20-21; 2 Timothée 3:14-17). Les anges sont des êtres immortels qui accomplissent la volonté de Dieu (Hébreux 1:13-14). Le plan de Dieu est de remplir le monde entier de la connaissance de Sa gloire (Nombres 14:21; Habacuc 2:14). Dieu donna un choix à l’homme. Il pouvait obéir à Dieu et vivre, ou Lui désobéir et mourir. Adam pécha en désobéissant à Dieu. Par conséquent il fut condamné à mort (Genèse 3:1-19). Nous sommes tous descendants d’Adam. Parce qu’il est mort pécheur, tout homme et toute femme sont nés mortels. Cependant nous avons tous péché, et nous méritons de mourir pour notre propre compte (Romains 3:23; Romains 5:12; Romains 6:23). Comme Adam, nous sommes tous responsables de nos propres actions. Si nous ne l’étions pas, un Dieu juste ne pourrait pas qualifier de péchés nos mauvaises actions. Nous ne pouvons pas blâmer un Satan surnaturel. « Chacun est tenté quand il est attiré et amorcé par sa propre convoitise » (Jacques 1:14). Jésus dit « du cœur viennent les mauvaises pensées, les meurtres, les adultères... » (Matthieu 15:19). Dieu était, et demeure, le Père de Jésus-Christ. C’est par la puissance du Saint-Esprit que Jésus fut conçu dans le sein de la vierge Marie. Par conséquent Jésus est, à la fois, Fils de Dieu et Fils de l’homme (Luc 1:30-35). Jésus-Christ n’est pas l’égal de Dieu. Il dit :« Le Père est plus grand que moi » (Jean 14:28), et « je monte vers mon Père et votre Père, vers mon Dieu et votre Dieu » (Jean 20:17). Le Saint-Esprit est la puissance de Dieu, qu’Il utilise comme Il veut (Genèse 1:2; Ésaïe 61:1) ; ce n’est pas une autre personne. Jésus aurait pu pécher mais il ne l’a pas fait. Il a « paru [...] pour effacer le péché par son sacrifice [...] De même Christ, qui s’est offert pour porter les péchés de beaucoup d’hommes, apparaîtra sans péché une seconde fois à ceux qui l’attendent pour leur salut » (Hébreux 9:26-28). A cause de son obéissance parfaite à la volonté de Dieu, Jésus fut ressuscité des morts. Il reçut la vie éternelle. II dit « Ne fallait-il pas que le Christ souffre ces choses, et qu’il entre dans sa gloire » ? (Luc 24:26). Jésus avait un corps après sa résurrection. Il dit à Thomas, l’un des apôtres, « Avance ici ton doigt, et regarde mes mains ; avance aussi ta main, et mets-la dans mon côté » (Jean 20:27}. Après sa résurrection, Jésus est monté au ciel (Actes 1:11). Et maintenant il agit comme notre Seigneur et médiateur (1 Timothée 2:5). :16; 1 Corinthiens 15:22; 1 Pierre 5:4). La bénédiction de la vie éternelle sera donnée lors du jugement. Cela aura lieu au retour de Jésus et à la résurrection des responsables décédés. Jésus dit « tous ceux qui sont dans les sépulcres entendront sa voix et en sortiront. Ceux qui auront fait le bien ressusciteront pour la vie » (Jean 5:28-29). Jésus enseignait bien clairement qu’il reviendrait sur la terre :« le Fils de l’homme doit venir dans la gloire de son Père, avec ses anges ; et alors il rendra à chacun selon ses œuvres » (Matthieu 16:27). « Lorsque le Fils de l’homme viendra dans sa gloire, [...] toutes les nations seront assemblées devant lui. Il séparera les uns d’avec les autres [...]. Alors le roi dira à ceux qui seront sur sa droite :Venez, vous qui êtes bénis de mon Père ; prenez possession du royaume » (Matthieu 25:31-34). « Le Seigneur lui-même [...] descendra du ciel, et les morts en Christ ressusciteront premièrement » (1 Thessaloniciens 4:16). Remarquez l’ordre des événements :(i) Jésus revient, (ii) il ressuscite les morts, (iii) le jugement a lieu, et (iv) il donne la vie éternelle à ses disciples fidèles. Quand Jésus reviendra, il sera « Seigneur des seigneurs et Roi des rois » (Apocalypse 17:14). Les rois s’inclineront devant lui (Psaume 72:11). La Bible appelle cette période « le Royaume de Dieu ». Les croyants fidèles seront rendus saints et immortels et aideront Jésus. Il a promis que les douze apôtres seront « assis sur douze trônes et [jugeront] les douze tribus d'Israël » (Matthieu 19:28). Les hommes et les femmes doivent reconnaître qu’ils sont pécheurs. Ils doivent croire à l’évangile, se repentir et être baptisés. Jésus dit :« celui qui croira et qui sera baptisé sera sauvé » (Marc 16:16). Jésus dit à ses disciples « Si vous m’aimez, gardez mes commandements » (Jean 14:15). Nous devons suivre son exemple d’obéissance à Dieu et nous souvenir de lui en pain et en vin, selon son commandement, « jusqu’à ce qu’il vienne » (1 Corinthiens 11:23-26). Finalement nous devons nous rappeler que Dieu a choisi de Se révéler à la nation juive. Il a fait des promesses à Abraham, à Isaac , à Jacob, à David et à la nation d’Israël. Beaucoup de ces promesses seront accomplies quand Jésus reviendra sur la terre. Observez Israël ! (Genèse 12:23; Genèse 13:14-17; 2 Samuel 7:12-16; Jérémie 23:5-8; Ézéchiel 36:22-38; Ézéchiel 37:21-22). 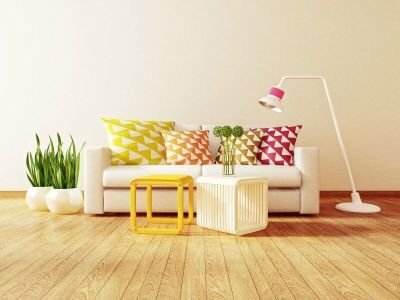 Here you can find a great community for sharing new ideas and talking about day-to-day life.